In this weeks’ video blog, we talk about a concept you may not be aware of, which is that HMRC don’t always get it right! Sometimes they make mistakes, and when that happens it can ruin peoples’ lives, possibly even resulting in them losing their homes. It’s worth knowing what you should do if this were to happen. There are two types of Tribunal processes which can settle these cases. Firstly, you have a First-Tier tribunal which deals with the majority of cases. The second type is an ‘Upper-Tier Tribunal’, which is generally used when the First-tier Tribunal is inconclusive. If you ever find yourself in a position where HMRC have issued penalties against you which you deem to be unfair, for example if you owed £5 in tax which resulted in £2000 worth of penalties, then many people would agree this would be disproportionately high and therefore wrong. However the law does allow for HMRC to issue these penalties. So what can you do when it seems that the law is not being ethical? Essentially the tribunal process has the power to overturn the decision made by HMRC with regard to the penalties. You can submit the issue or complaint to the tribunal, have it reviewed and the tribunal can then decide if HMRC is acting appropriately or are perhaps misusing their powers and not being just or fair. They may then decide to adjust the penalties if they feel it necessary. This can work in many different scenarios. For example, if HMRC claim that you owe tax from taking a client out for a meal because it was entertainment rather than business related and should not have been deducted, you can also submit evidence of that and ask the tribunal to look at it. Or if you feel that HMRC are being particularly aggressive in using their powers of enquiry or looking into your business without due cause, costing you time, money and effort, you can also take this to a tribunal which has the power to shut the enquiry down. 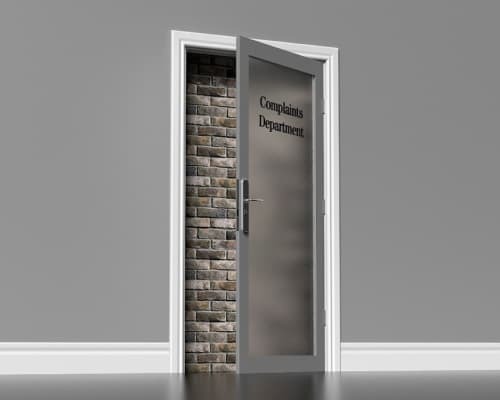 Another useful thing to know is that there is a complaints process within HMRC, and you are entitled to take up any issues with the Head of the Department you are dealing with. If you feel that the situation is still not being dealt with correctly, then you can go to the Independent Adjudicator or even the Parliamentary Ombudsman. What these complaints procedures set out to achieve is to regulate HMRC and make sure they are fair and just. They act as a warning to HMRC to get their behaviour back in line as they are being assessed by an independent body. You can also seek compensation if you feel you have spent undue time and money on dealing with an unfair HMRC issue. We’re a firm of accountants in Northampton, if you have any questions about dealing with HMRC on the any of the issues raised in this article, then please do get in touch on 01604 330129 or email info@www.northantsaccounting.co.uk and we will be happy to help and advise.